General view of the site from the access road. The mill building stands out prominently. 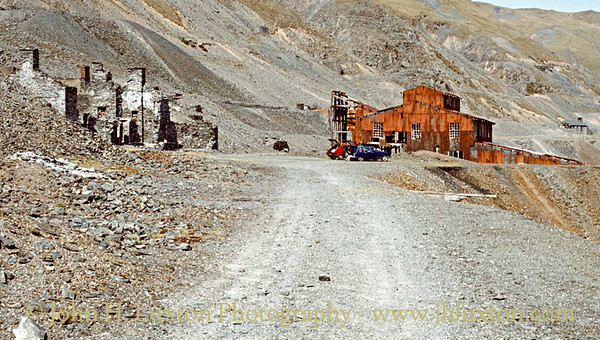 On the left are the mine offices and on the right in the distance the mine blacksmith's shop. Thanks - these brings back memories. 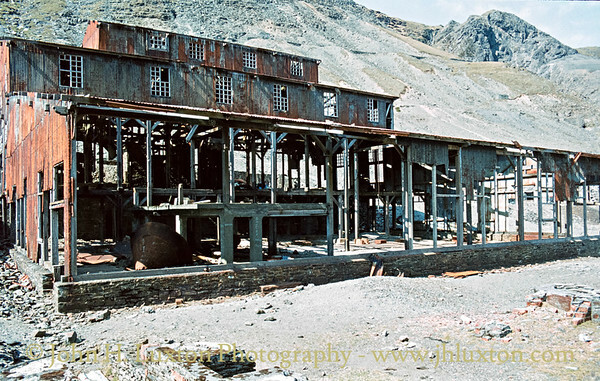 The mill was starting to get shakey just at this time and the remaining slate roofs seen on Staff House and Cwrt in your photos would soon disappear. In the first image, the building in the far right background was not a blacksmith's shop; it was the office prior to the large block just NW of the mill being built. After conversion to a house it was known as Cwrt, Welsh form of court, which referenced its 'count house' / office origins. 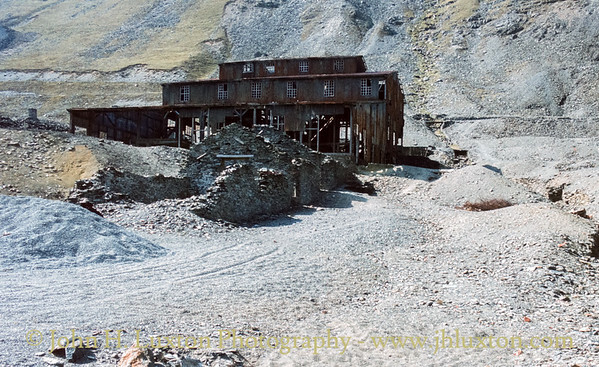 In the fifth image, the ruins in the foreground, downslope of the mill, had been the concentrate stores. 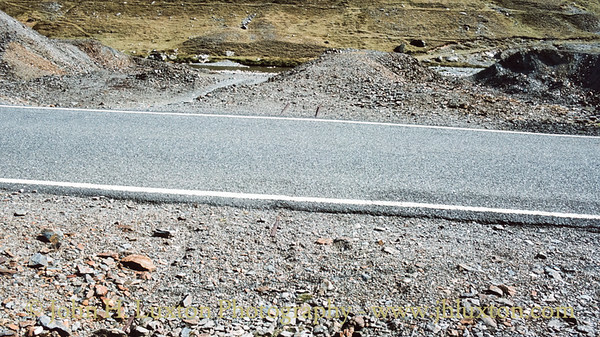 Images 8 and 9 show rails relating to Lefel y Ffordd which was located at the foot of the scoop into the tips shown in image 7; the rails lead across the road to the development rock tip associated with this level. The barracks shown in images 10 and 11 had never been fully completed although they were about 60% useable; they were named Staff House. Yes, I will put a link to Johns webpage on the CMT website. Many thanks for the info I will update the captions on my web site accordingly. 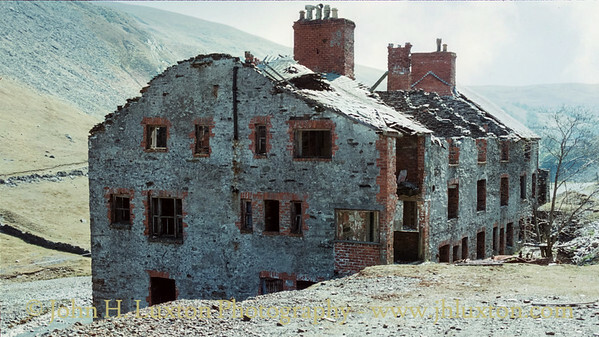 Did the mill and the barracks close in 1950 the date quoted for final closure or did they close earlier? The first one is of Pugh's Level - the second shows the Barracks and this other building beside the road which I have not been able to identify. 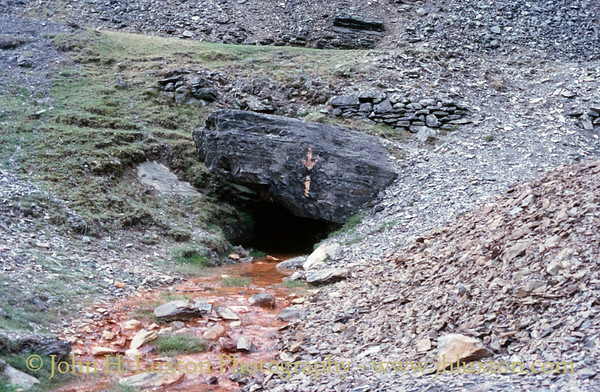 Mining on any scale ceased in the later 1920s and the majority of men were paid off around 1930 (this date from memory - I examined the last pay book some years ago) and only a couple of caretakers kept on to maintain machinery and buildings and to deter thefts. 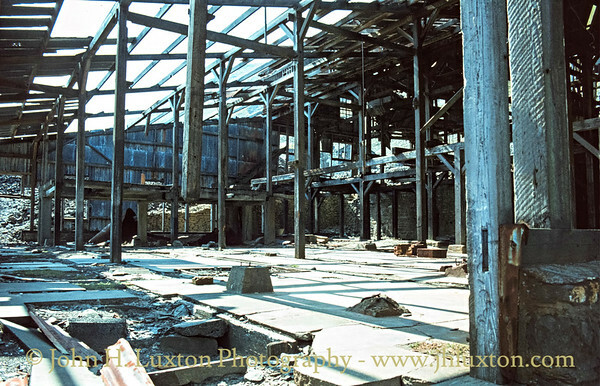 Use of the mill probably ceased at this time but had probably only been intermittent through much of the 1920s. 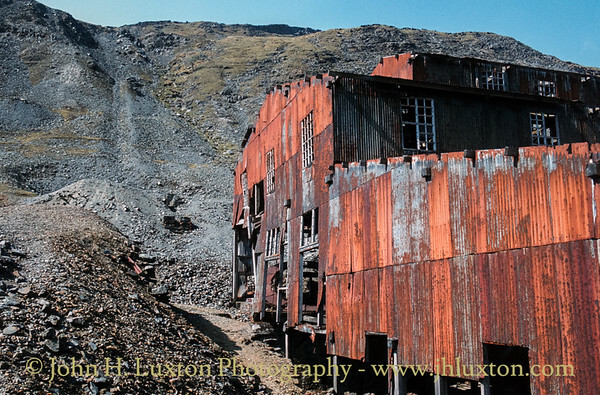 1930s production was spasmodic and small - it seems to have been confined to hand-picking ore off the dumps. Activity fizzled out around the time the war started. 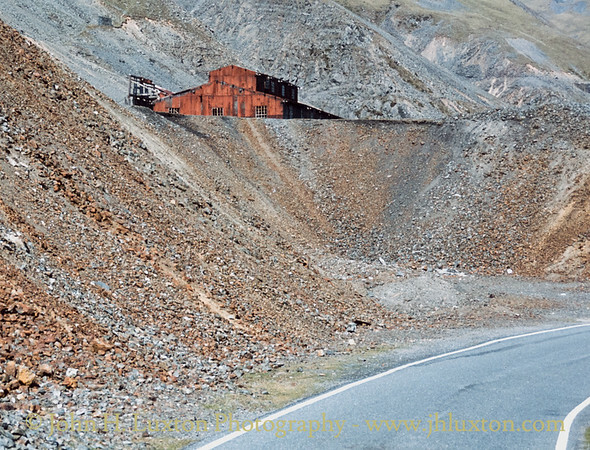 It seems that the mill machinery was scrapped immediately after the war. The 1950 date was more of a final and official abandonment as real activity had stopped before the war. Staff House (the barracks) was part converted to a house and the remainder simply decayed. The last resident of Staff House moved out around 1950 after which decay speeded up. 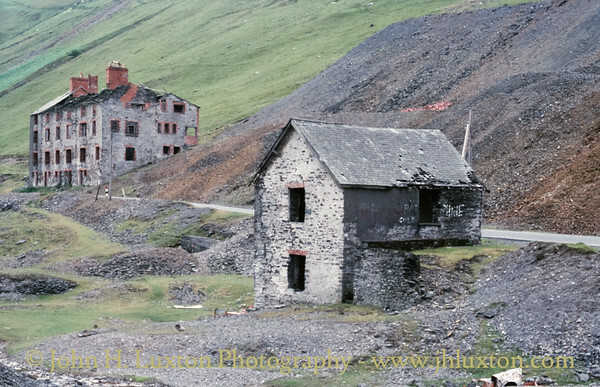 I suspect the barracks was probably not used as a barracks after the cessation of mining around 1930. By that date its use had probably greatly declined as road transport had improved, enabling the reduced size workforce to mostly travel daily rather than saying for the week. As with all long slow puctuated declines, the details are poorly recorded I'm afraid! 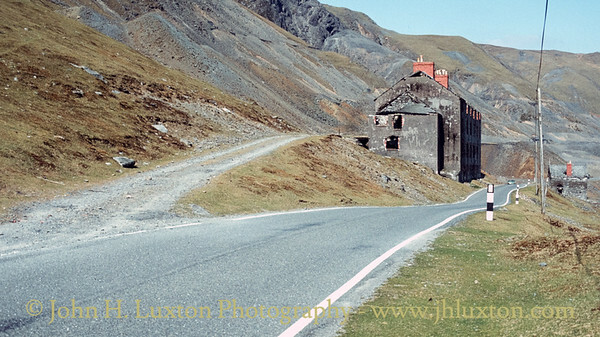 The smaller building below the road was built as No.1 Crusher House: there had been a waterwheel to drive the rolls; it was located in gap between the long side of the building seen in the photo and the retaining wall. The building was converted into the mine caretaker's house around the start of WW1, when it was called Ivy Cottage.The south end of the wheelpit was demolished, the pit was part infilled and steps built in it. These steps gave access to the basement which during this last period was for a time used as a laundry either by the mining company or as a company-approved venture by the occupants, presumably washing work-clothes over the weekends.